Great deer habitat improvement programs rely on 1 very critical feature: They are hidden. It most likely isn't a stretch that a food source, bedding area, travel corridor or waterhole that is actually hidden from your hunting season approach, will hold a substantially higher value in the local deer herd's minds, than if not. But how do you accomplish this? How many of you liked the childhood game of Hide and Seek? I did! And I remember when I played, that I not only liked to be the last one found, I liked to be the one that couldnt be found in the first round, 2nd, 3rd, 4th, and until after the game was over. In fact, the best was hiding until everyone was finished looking and were just about to give up. I would finally have to reveal my spot that was often right under their nose. The dirty back corner of a garage, under a shelf behind a couple of old pallets. maybe inside a pile of leaves against a chain-link fence, basically out in the open. or possibly the upper shelf of a closet behind a single row of shoeboxes while the other boxes were placed neatly under the bed. The point was to hide within as many changes in structure as possible. The changes in structure were essentially any form of change that caused the seeker to possibly give up. For example, a closet door, an upper shelf, a row of boxes, a fence, a pile of leaves, a tuft of weeds, or a few shelves, a back corner, and a couple of old pallets. Most people stop after the first change or two, and the person hiding then, of course, stays hidden. Also, once the hiding spot is searched, the seeker usually doesnt come back for another investigation, and if they dothose additional changes make the spot even better. Ive often found that deer in general, especially a reclusive, old, low-stress seeking monarch, tends to choose a daytime hiding spot relative to the many changes of habitat that exist in nature. Similar to all of those structure changes that created a great hiding spot while playing Hide and Seek as a youngster, deer habitat changes work just the same. Ridges, benches, mature timber, young timber, changes in timber type, seasonal habitat changes, rivers, swamps, fields, food sources, etc. are just a few of the habitat changes that you may find on your own hunting grounds. By focusing on the changes in habitat when choosing where, when, and how to hunt, whether it be on public, private, or leased lands, you are on the path to experience the ultimate in whitetail success. 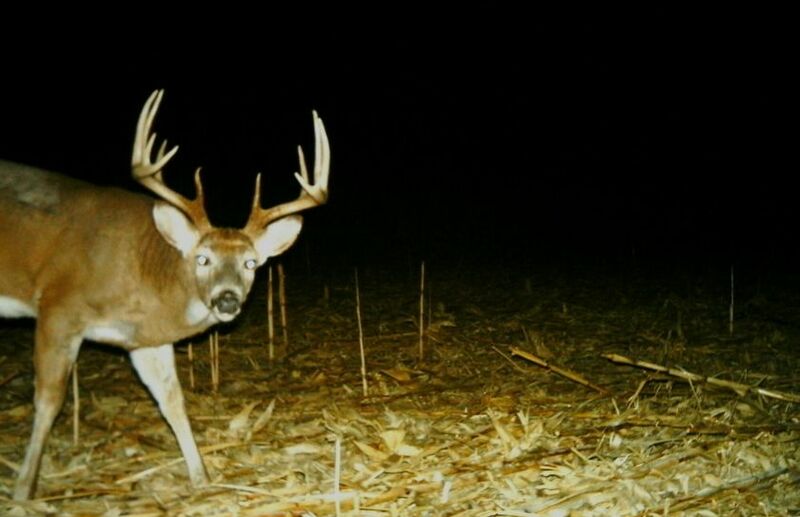 In order to understand where a deer is hiding, or where you can get him to hide, you have to first understand the use of deer habitat improvement practices in your whitetail deer pursuits. Obviously, if you have your own little slice of heaven, then you hopefully will be developing a cohesive implementation and usage of many habitat changes to improve your overall experience. Timber cuttings, habitat plantings, food source development, water sources, and bedding area enhancement practices, are all at your disposal to attain the perfect plan on your parcel relative to your individual parcel needs. If you dont have it and it will fit within your planget it! When you develop a plan, though, you not only offer a safe spot for the local deer herd to call home, but if you define that location enough, you have a great opportunity to sneak in for the kill. 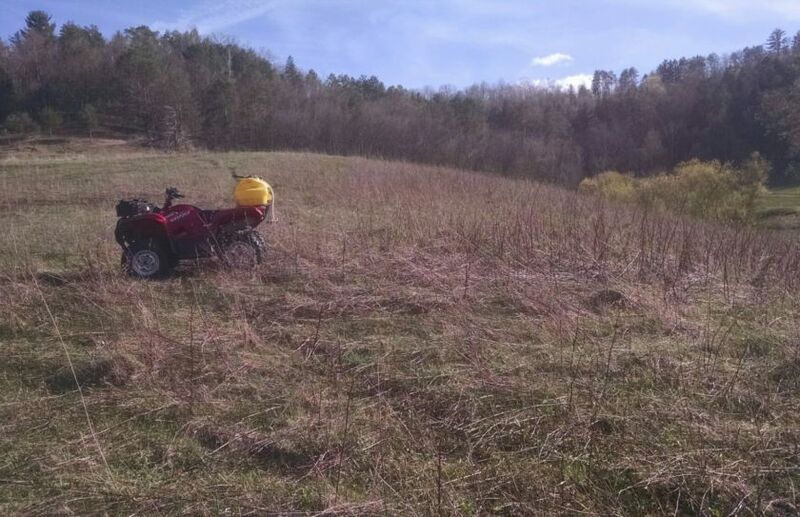 Best of all, on private land, you can take many years to perfect your plan by fine tuning, making adjustments, and learning how to create the perfect deer habitat improvement, on the go. On public land, though, searching for those habitat changes and then making some sense of those changes to predict travel, bedding, and feeding patterns, becomes the name of the game, albeit a much faster-paced game than building it yourself, on your own land. In the northern public lands of the Upper Midwest, the habitat can be continuous and almost boring. However, that is a very good thing because there is nothing better than using deer habitat change to take a 10,000 acre wilderness tract of public land and narrow it down to less than 100 acres of potential hunting locations. You can avoid continuous hardwoods, ignore the impenetrable tag alder swamps, and not be tempted to follow that marsh-cut deer trail that travels for over a mile across a vast wetland of open grasses and occasional spruce clumps. Instead, draw a red circle around where that hardwood ridge, tag alder swamp, and marsh all meet, possibly on a long point of funneled deer usage. Put an X over the areas within mile of any road or trail, place a star over the areas with a beaver damn or water source to potentially cause the careless to get a little wetand youve just eliminated 99% of the entire area that you can just simply ignore. Scan ariel photos and topographical maps first, before spending about a day searching, for areas that feature the most adjoining habitat changes in one spot as determined by those photos and maps, and you will most likely experience success. Draw up a plan of attack to have multiple stand locations for varying wind and weather patterns, 2 different ways to access the location, and have fun! In the rolling public land hardwoods of northern PA, I found a great pattern of deer habitat changes that included the highest elevation line of a hemlock bottom, a hidden bench, a south facing ridge of new growth, and a stream edge. By sitting on the downwind side in a pre-positioned climbing stand adjacent to the location featuring the highest concentration of large rubs, and using the deeply cut stream as a hidden and scent-free access, the table was set for a great sit for a mature buck! I can think of at least one 30 square mile area fitting the above description that you could basically narrow down to about 7 separate possible locations to scout within a few hours on a Sunday afternoon prior to the Monday opener of PAs rifle season. Your scouting area may only include 20 acres of total acreage minus the travel in-between. 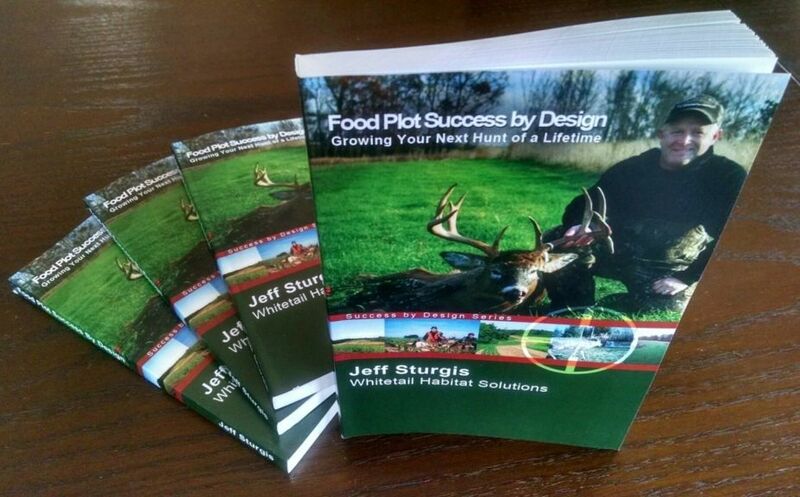 That pattern of habitat is extremely common throughout the region, and by focusing on habitat change to define your hunting efforts wherever you hunt, you can design a high level of whitetail success. *Each deer habitat improvement paves way for the next and before long, you can create a pretty complex combination of randomness that can actually do more harm, than good. Have you over-improved yet? The risk is real, however, you can learn how to avoid the potentially serious issue by reading, "Is Attractive Deer Habitat More Harm Than Good?" 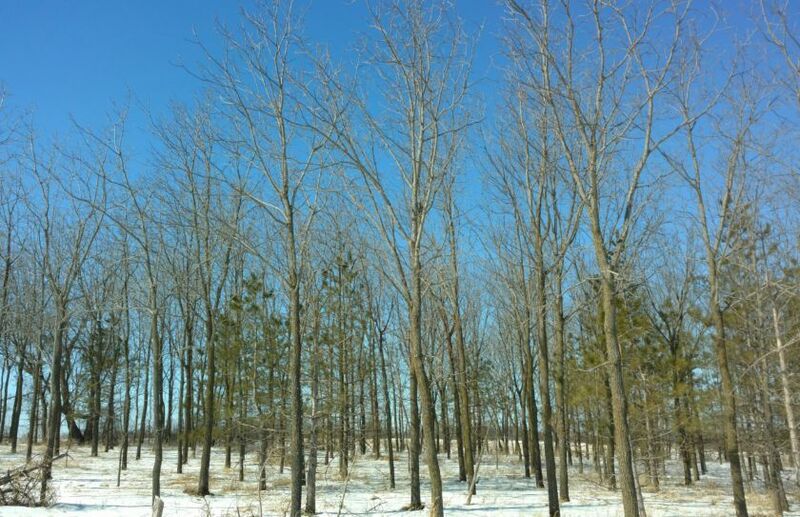 The best example of habitat change I can think of that relates to When to hunt, is the case of an 80-acre stand of mature hardwoods adjacent to a rich agricultural region. Acorns dropping, trees in their spectacular fall foliage, a few well-placed water holes, and adjacent succulent summer-range food sources, all equal a high % of early season success. However, remove those crops, drop the foliage, dry up or freeze the waterholes, and vacuum up the acorns with a few dozen turkeys and a small herd of deer, and its often hard to find a deer track during late November. 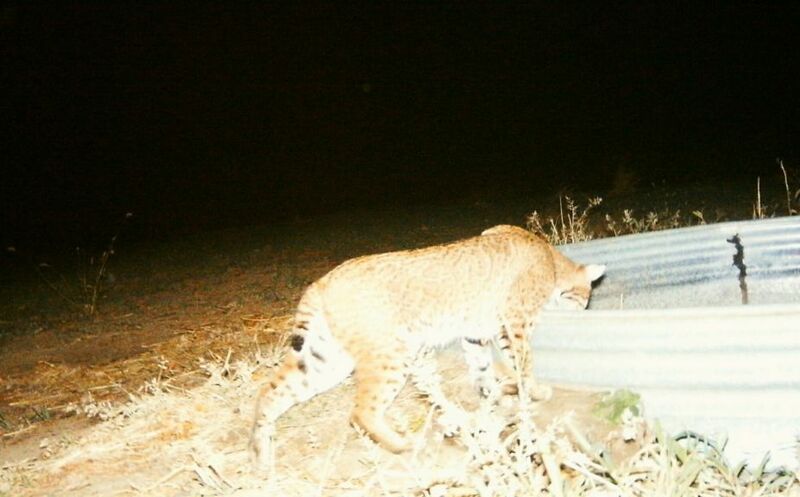 Try using the seasonal change in habitat patterns to determine the optimum time to hunt. On public land this may mean seeking stands of conifer adjacent to food sources during the late season, and on private land this may mean adding those food sources or conifer stands of snow-hindrance and thermal protection to build a late season deer herd on your property. If you pay attention to the seasonal patterns of habitat change, you can enjoy hunting the right place at the right time on the lands you typically hunt, even if you have to plan on another place to hunt during the wrong times. Nothing spoils a great spot, a spot where many types of habitat change come together to produce a logical pattern of travel, feeding, or beddingthan by accessing that spot at the wrong time, or in the wrong stand location. By using a downwind side, by focusing on deer free approaches, and by staying out of the hub of deer usage and activity you can not only experience a great sit with a low % of possible deer/human disturbance, but you can preserve that spot for another time. On public land that may mean that you simply enjoy the entire day out in the woods and then leave after a few days while dreaming of next year. However, on private lands, the concept becomes much more critical to preserve. Think of your private hunting grounds as having the ability to age like a fine wine. As your neighbors are potentially spoiling their habitat with poor hunting efforts, the local deer herd will easily distinguish the safety and security of your non-invasive tactics used to maximize the effectiveness of the many deer habitat improvements that you have taken the time to create. After you assemble those habitat changes in a logical pattern of movement across the entire landscape, as discussed in later chapters, those un-interrupted manipulations of deer movement will become stronger every day, making the deer increasingly easier to ambush when the time is right. *A waterhole can potentially be the most attractive deer habitat improvement on your land, but is it worth the effort on your land? 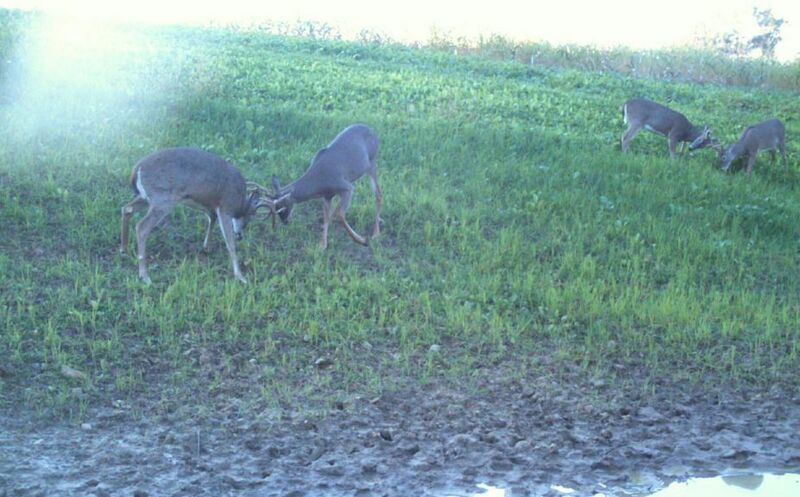 To make sure, check out the important video tips in this article, "Deer Waterhole Hunting Strategies". 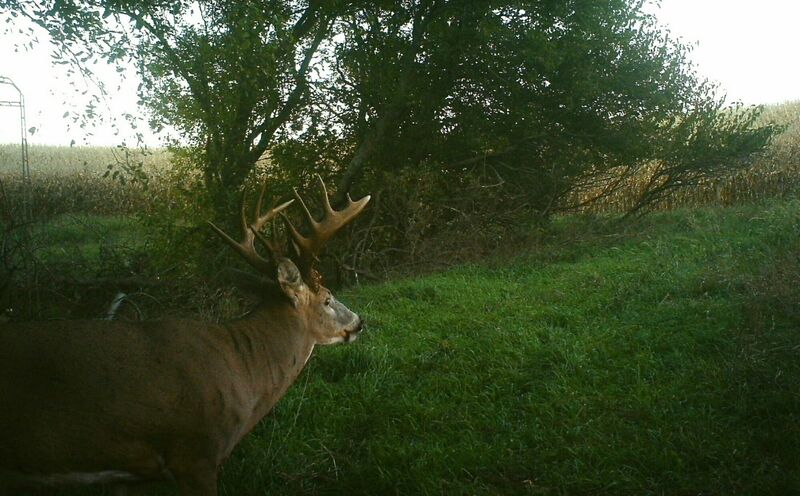 Are you in the market to buy or lease a new chunk of deer habitat? By seeking out parcels with as many habitat changes as possible, you will be years ahead of the game because large-scale habitat changes dont take place quickly. Then, after finding a diverse piece of land, its just a matter of stepping in and enhancing the appropriate deer habitat improvents that fit within the best pattern of potential movement and deer usage for your parcel. You can even add some quick habitat changes to the plan, if appropriate, to immediately strengthen the intended pattern of manipulation for example, through timber harvest or native grass plantings. Also, by not enhancing the areas that fall outside of the intended overall plan, those areas become quickly distanced in both overall quality and deer usage, making it easier for you to move about your new property purchase or lease without spooking the deer that you are hiding within the habitat on your parcel. Can memories of a child-hood game hold one of the keys to your whitetail habitat improvement success? I think so! And of course Im not suggesting pallets or head-high piles of leaves within your favorite hunting land, but come to think of it, Id rather have an open hardwoods with a few long rows of head-high leaves to add a type of habitat change to an otherwise boring woodlot, than not, in terms of increasing the possible level of security a local deer herd feels on that parcel. Give the local deer herd a place to hide within a logical web of deer habitat improvements, and in turn give yourself a chance to locate a hidden buck of a lifetime, a buck that unwittingly hid within YOUR favorite habitat hiding hotspot!